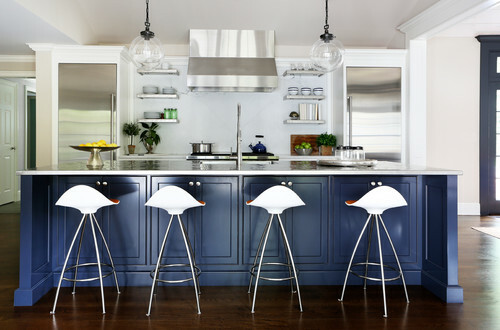 3 Items that are New, Now, and Next in Kitchen Design — KTJ Design Co. If you read last week’s blog, you know I’m remodeling my own kitchen and I of course want it to be cutting edge and on trend. I recently attended a continuing education event by my local NKBA chapter on copper sinks presented by Native Trails. The topics ranged from the right copper for our environment and the right copper for our sinks, the styles available, and how to recognize quality. When the presenter told us that copper is naturally antimicrobial, I was sold. I never thought of myself as a germophobe, but the idea that it cleans the germs all by itself…well, sign me up! 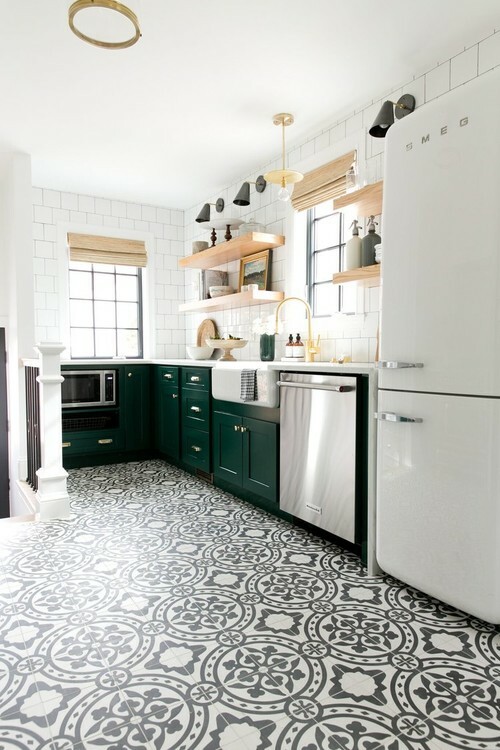 Not only that, these timeless patterns were popular in tile floors for literally hundreds of years in the past, and you can still find them in many historical buildings. If it’s looked good since 1836, it will stand the test of time in your home too. White and gray kitchens still reign supreme, and I don’t anticipate that’ll change in the near future (neither does the NKBA), but dark green and dark navy painted cabinets are coming in as strong contenders. I think many are tiring of white and gray (this designer included), and the mix up in colors is a welcome respite. Want to stay on top of the trends? Check out my Pinterest board for some stunning kitchen design inspiration you’ll love.